Based on reviews from 119 users. Learn how our rankings work or see our guide to Nike Dunk sneakers. Updated Apr 2019. Nike has been dominating in the sneaker market ever since its inception, becoming a prominent athletic apparel and footwear manufacturer. It has moved forward in the market with certainty, and with 54 years of experience, Nike has released a slew of collections and sneakers that have changed the sneaker game. One of these collections? The Nike Dunk sneakers. There’s nothing like a team shoe to excite everyone up, but for it to be exceptional, it has to have something that goes beyond just being a sneaker; it has to be something more. Being one of the world’s most renowned sports apparel and footwear brand, Nike’s release of the first ever Nike Dunk shoes in 1985, changing everything as it was dubbed as Nike’s Original team shoe. The sneakers were primarily used for basketball and were termed as casual/basketball shoes meant for top-tier college basketball teams and players to be worn on the court; a little piece of their school colors that they could wear proudly. The shoe was, at first, released in several colorways, done to match the colors of the top schools in the USA. With this in mind, Nike called the first Nike Dunk sneakers collection the “Be True to Your School” Nike Dunk Series. The Nike Dunk sneakers came in an assortment of colors, mainly red, white, purple, orange, grey, blue, and black. These different color schemes for the Nike Dunk sneakers represented the University of Michigan, the University of Kentucky, the University of Iowa, Georgetown, Syracuse, St John’s, and the University of Nevada, Las Vegas. The Nike Dunk shoes were straight to the point. It had a no-fuss appeal to it that made it easy to understand, not only by basketball players but by sneakerheads, as well. 2. Nike made use of its ability to incorporate color-blocking skills. The color-blocking scheme that the Nike Dunk sneakers have contributes significantly to its success, meshing well with the design and the silhouette. Altogether, the shoe oozes charm and allure. 3. The marketing move for it was subtle. Well, maybe not exactly but Nike marketed it in such a way that people didn’t mind being sold to. Nike targeted a specific audience with the sneakers but got more than they bargained for as the public openly accepted it with a fervor. Soon, everyone wanted to cop a pair. With these in mind, Nike further cemented itself in the highly competitive sneaker industry, the Nike Dunk shoes spurring it on and pushing it forward. What may have started as basketball shoes for the Nike Dunk sneakers quickly shifted into to something else for the work of art. The Nike Dunks acceptance spread beyond the culture of basketball and found itself being accepted by another sport, another community, specifically the skateboard community. Skaters found that the Nike Dunk was great for skating, the sneaker having the perfect support and grip. Noticing the need for versatility and comfort, Nike Dunk sneakers that were introduced between the year 1998 to 2000 featured a nylon tongue. The nylon tongue helped in the movement when skating and further captivated skaters. More padding for a comfortable ride. A sturdier outsole for even better grip and traction explicitly geared for handling skateboard tricks and a better ride. Mostly, there are two types of silhouettes when it comes to Nike Dunk sneakers. This silhouette is instantly noticeable to veteran sneakerheads and Nike fans, a welcome sight for all. This sneaker has a vintage look to it and has been given an update that gives it better comfort, cushioning, a lighter feel, and better stability. The silhouette pays homage to the foundations of the very first Dunk model introduced. For those who want a sneaker that is super versatile both in style and function, the Dunk Low is the other well-known silhouette of the Nike Dunk shoes. It’s got the unmistakable classic design in a low-top style. Today, Nike Dunk sneakers are offered and available in various designs and colorways, becoming an iconic shoe that has spanned three decades of reinvention, enchantment, adoration, and success. However, there’s something about owning a pair of originals done with a twist. The original, the silhouette that started it all; yes, we’re talking about the original Nike Dunk High that was first released in 1985. For any sneakerhead, checking out the original Nike Dunk shoes is a must. Today, these sneakers can run for a whopping price of up to $2000, all depending on the condition of it. It’s a work of art and an artifact that any collector will want to own. The person behind the design of the Nike Dunk, Peter Moore, initially wanted to call the Nike Dunk the College Color High. This was the first reissue in the original colorway by Nike. The Nike Dunk sneakers have already gained a massive following at this point, and the need for it was higher than ever. This particular variant was insanely popular, thanks to the collaboration between Nike and Wu-Tang. Some say that the 1998-1999 retro Nike Dunk sneakers used the best quality materials on the classic styles. The growth of the Nike Dunk shoes didn’t stop when the 2000s came in. The shoes were still pretty much in demand, Nike creating skateboarding specific Dunks in 2002. However, in 2003, Nike reissued the Dunk High in the classic team colors of University of Iowa and Michigan among others. In the same year, Nike released low-cut versions of the original Nike Dunk sneakers once again. In 2005, Nike Skateboarding released skate-friendly versions of the original Nike Dunk sneakers in each original colorway. It featured a full premium leather and incorporated suede into the mix. Some of the favorite colorways from this series included the Iowa and Syracuse colorways. This series of the Nike Dunk sneakers, released in 2005, was done in commemoration of the original Nike Dunk’s 20th anniversary. 2011 was the year that saw Nike finally reissuing low-cut versions of the original Nike Dunk sneakers. Here, the Nike Dunk was reissued in several original colorways. What made it so special? The signature “vintage” finish the shoe had; a uniquely worn-in look. This reissue enjoyed popularity amongst sneakerheads, yet, many people were still washing down the vintage detailing of the sneaker, opting for a cleaner and more classic look. Not more than a year later, the Nike Dunk was released once again in several original colorways. Nike broadened the choices available for the retro crowd by adding in some non-original colorways as a part of the collection. The 2012 release of these Nike Dunk sneakers were done in celebration of March Madness, the month of the annual National Collegiate Athletic Association (NCAA) college basketball tournament. In 2016, Nike went full force with its retro releases, bringing back the faves such as the “St. John’s” colorway, the “Kentucky” color-up, and the equally loved “Michigan” and “UNLV” Nike Dunk sneakers. Nike released only one new colorway for this, a grade school-sized edition of the Nike Dunk sneaker with a white and Pink Pow color up. When school is in session, the right footwear comes into play, and we aren’t talking about how comfy the shoes are, no. We’re talking about how trendy and fashionable it can be, too. The Nike Dunk sneakers are the perfect shoes for this. However, the Nike Dunks aren’t only great for school; it’s also great for… Well, anything! Nike Dunk shoes have been considered one of the brand’s most diverse lifestyle footwear range out there, with styles available for everyone and anyone. An insole with the Nike Zoom Air technology incorporated into it. Pivot circles can be found on the outsole to help the wearer change foot directions easily. The Nike Dunk Retro QS holds the classic style of the 80s; a sporty sneaker that is also great for streetwear. It has gained a following from sports players, celebrities, skaters, collectors, and casual wearers. Despite it being a classic 80s shoe, the upgrades of contemporary comfort. The sneaker features perforations on the toe box for breathability. A rubber cupsole is incorporated into the sneaker for good cushion and support. Circular patterns on the cupsole up the surface grip of the shoe. QS stands for Quickstrike and QS variants of Nike shoes are slightly tweaked regarding materials used and prices, sold in exclusive stores. For added structure, the tongue, the heel counter, and the Swoosh logo is made of leather. The tongue of the shoe has an embroidered “Flyknit” sown on the inside. A padded tongue and collar add more comfort. An EVA midsole that is feather light adds to the cushioning effect of the shoe. The outsole is rubber and has a waffle pattern for better traction, making it more durable. Scarlett Johansson’s character in Captain America: The Winter Soldier, Black Widow, wore a black colorway Nike Dunk Sky Hi Essential on screen. Each shoe has both names of the fighters embroidered at the heel. The shoe has a distinct red cement print upper. 606 pairs of the Nike Dunk High “Ultimate Glory” were released in Mexico City in October of 2008. Regional exclusives were also released in the US, but this pair of Nike Dunk sneakers were made to be exclusive for the Mexicans. A white and green leather “glow in the dark” upper. A green Nike swoosh branding on the side. A white midsole with a semi-transparent outsole. Green laces round off the whole look. The Nike Dunk High “Glow in the Dark” was dropped without much fanfare, done in a way that many considered a silent drop or release. Nike Dunk Hi Premium TZ "Ueno Panda"
Features a white and black color scheme. The white upper of the shoe is made of horse hair. The sneaker comes in a special caged box to complete the animal vibe. This Nike Dunk sneaker was limited and only available to Tier Zero accounts in Japan upon its release. The upper is a beautiful gray suede. The heel features an embroidered River Thames. The Nike Dunk SB Low “London” was limited to 202 pairs worldwide making them very hard to find today. No two shoes are the same with each pair featuring a unique design. This is also why the sneaker is such a must have for any shoe collector. Features artwork by Bernard Buffet. When it was released, the shoe cost approximately $160. Today, the Paris sneaker goes for a price range that starts at eight grand and goes as high as twenty grand! It’s one of the rarest shoes out of the Nike Dunk sneakers collection. The shoe features a grey and orange colorway. It is made from leather and suede. The tongue is made of mesh. A pigeon is featured on the heel of the shoe. This is where the shoe gets its name from. At the time of its release back in 2005, only 202 pairs were dropped, and the sneaker could only be bought in New York. 30 New Yorkers who got their hands on a pair had to be escorted out through the back door of the store with a taxi already waiting as rioters and stick up kids waited at each corner, ready to pounce. It has a blue denim upper. The quarter panels, toe box, and ankle area all have lighter denim. The sole has a red trim to it, contrasting well against the white midsole. Only 444 pairs of the Nike Dunk SB low Reese Forbes “Denim” were produced. Upon its original release, the shoe sold for approximately $100. Today, it goes for as high as $4000. It is one of the first all-gold sneakers that really took off. It is a premium Quickstrike variant from Nike. The Nike Dunk Hi “Olympic” was also released in limited quantities and are very rare to come by today. Suede toe area, lace hole tab, and heel. The shoe has also been nicknamed as the “Cookie Monsters” because of the similarity in colors between the sneaker and the Sesame Street character. The upper is constructed from a stretchy material. The colorway of the sneaker is done in Freddy Kreuger’s signature pattern of red and green stripes. Blood stained leather adds personality to the shoe. The insoles reflect the burnt skin of Krueger. The filmmakers of the film A Nightmare on Elm Street, the movie where the villain Freddy Krueger came from, filed a lawsuit against Nike. Funnily enough, the trial only made sneakerheads want a pair of the Nike Dunk SB Low “Freddy Krueger” even more. The prices for samples of the shoe shot up to a whopping thirteen thousand dollars! The sneaker has a primarily soft suede green upper with purple accents all throughout. A purple Swoosh is evident on the shoe. The inner side of the tongue has a stash pocket. The inner sole of the sneaker features a skunk, the inspiration behind the name. It was a Quickstrike release. The Nike Dunk SB High “Skunk” was only limited to 420 pairs upon release and was designed by artist Todd Bratrud. Collabs are everything, and with Nike being a top-tier sports and lifestyle apparel and footwear brand, collaborations are, of course, inevitable. It almost seems like collaborations between various companies and artists with Nike is a must. Nike Dunk sneakers have seen its fair share of collaborations, some being a total hit while others, well, let’s say that some thought should have been put into it a little bit more. Here is a list of some great Nike Dunk collaborations we think collectors, in no particular order, should check out. Both a surfer and an artist, Chris Lundy created a masterpiece of a collaboration using the ocean waves as inspiration. The result? A fantastic gem of a shoe that garnered the attention of sneakerheads and Nike fans alike. Pairing up with artists has always been a passion for Nike. Futura 2000 is another artist who joins the roster of creating great Nike Dunk sneakers. 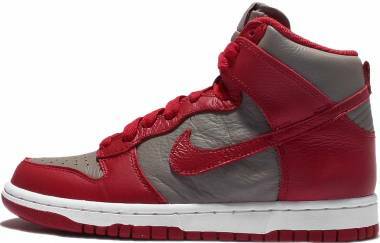 He teamed up with Nike SB in 2004 and came up with the "For Love or Money" Dunk High. With this shoe, Futura incorporated the imagery of currency into the shoe, creating a very memorable Nike Dunk sneaker. From shoe to packaging, the collaboration between Michale Lau and Nike is absolutely mind-boggling but aesthetically so. The whole shoe itself looks like it has been carved from a beautiful tree. With the packaging, the box itself is an art and is what had most sneakerheads wanting a pair. Another pair of limited edition Nike Dunk sneakers, the Pharrell x Nike Dunk High is actually a collaboration with N.E.R.D. as a whole, their logo prominently featured and embroidered on the heel. A limited amount of these sneakers exist, and only 1,050 pairs were exclusively released in 2004. The Diamond Supply Co. collab with Nike SB Dunk High is a pair of Nike Dunk shoes that has become a definite icon. Fondly called the Tiffany Dunk, the shoe sold out almost instantly when it was released in 2005. In 2015, a high top variant of the Tiffany Dunk was re-released to commemorate the ten year anniversary. This shoe is a definite stunner, highlighting the use of mixed-material compositions like leather and mesh covering the base of the shoe. Meanwhile, Nike’s Flyknit makes up the ankle collar. The whole sneaker sports a khaki/off-white color scheme with tones of blue and orange subtly specked to contrast the tonal theme. A blue leather Swoosh rounds of the overall look of the sneaker with a BE@RBICK branding on the side heel area. A select group of young creatives from the UK with a passion for both community and culture, The Basement collaborates with Nike to come up with the Nike Dunk Low BSMNT. What makes this pair of Nike Dunk sneakers so unique and coveted? The shoe utilizes nine different materials to make up the construction of this Dunk, primarily canvas, mesh, corduroy denim, nubuck, heavyweight denim, tumbled leather, flat leather, double twill canvas, and 3M reflective accents. This all works well with the Black/Gum colorway with a mini-Swoosh evident on The Basement x Nike Dunk Low BSMNT. How long have the Nike Dunk shoes been around? Nike Dunks have been around for nearly 33 years, the shoes coming to life in 1985.
Who created the original Nike Dunk? 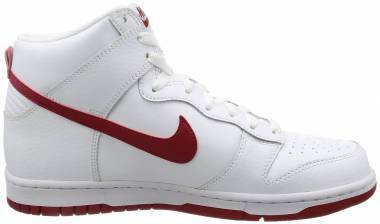 The original Nike Dunk sneakers were sketched by designer Peter Moore and were dubbed the College Color High. Where does the sneaker’s silhouette get its inspiration from? The sneaker is an artistic mash-up of a whole lot of different Nike shoes. Its outsole has similar traction design from the Air Jordan 1 while the upper lifts inspiration from both the Air Jordan 1 and the Nike Terminator. What were the Nike Dunk sneakers primarily for? 1985 was the year that basketball hit its stride and the Nike Dunk sneakers were used mainly for on-court play. But the shoes became so popular off the court that it gained traction in the fashion and skating world, soon becoming both a skate shoe and a lifestyle sneaker. Can women wear Nike Dunk shoes? Of course. Though some variants of the sneakers were primarily made for men, many agree that Nike Dunks have also become somewhat of a unisex shoe that women and men can enjoy. There have been variants of the Nike Dunk sneakers though made exclusively for women. How has Nike ensured the continuing success of Nike Dunks? With new designs and collaborations, of course. Along with it, Nike’s rare retro releases of the original Nike Dunk sneakers, the brand has made sure that Nike Dunks are sneakers that are very much highly sought after. Special partnerships have also helped make this legacy of Nike an extraordinary one. How should I clean the Nike Dunk shoes without destroying or ruining them? Remove excess dirt from the outsole using a soft-bristled brush. Spot-clean dirty areas of the shoe with a sponge, soft brush or cloth using water/detergent mixture. To get rid of excess detergent, use a clean cloth or sponge dipped in water. Do not put the shoe out in the sun. Instead, air dry at room temperature. Where can the Nike Dunk sneakers be bought? Nike Dunk shoes are widely available all over the world. Dedicated sneaker shops have a variety of Nike Dunks available while official Nike stores also stock up on Dunks. 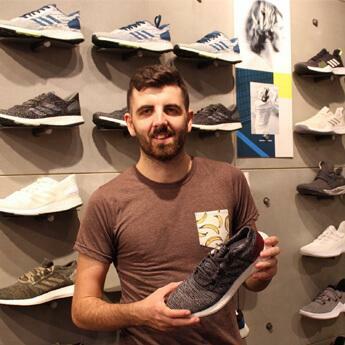 These physical stores present a chance for interested buyers to try the shoes on to get an exact fit. Can the sneakers be bought online though? Buyers who want to purchase online can do so as a lot of online sites sell Nike Dunk sneakers. Buying online also gives shoppers the chance to see a broader array of sneakers, even some rare sneaker variants. Of course, rarer Nike Dunk shoes go for higher prices. How can one avoid buying counterfeit or fake Nike Dunks? Counterfeit Nike Dunk sneakers, unfortunately, exist in the sneaker market despite the brand working hard to eliminate such fake products. To avoid buying counterfeit sneakers, purchase from authorized Nike retail shops and retailers. For online shopping, Nike.com sells authentic Nike Dunks. Websites that offer meager prices or early sneaker releases should be approached with caution.